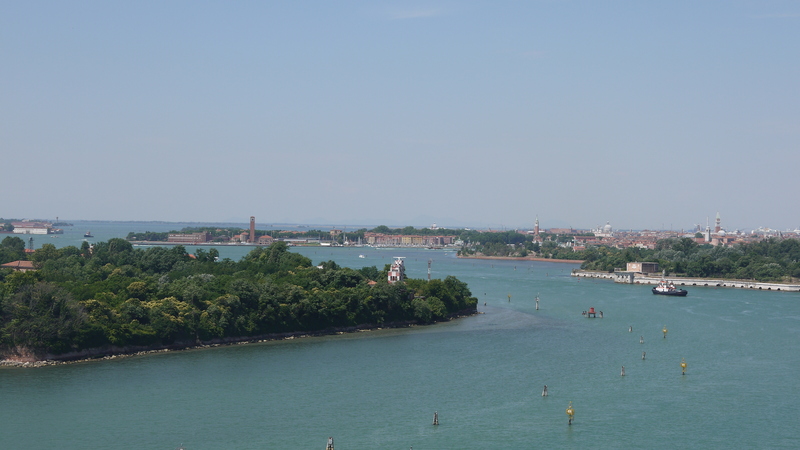 If we were on a plane I would say we started our descent into Venice at about 11am yesterday. It is quite a process entering into a waterway like the one in Venice. Due to the fact that Venice sits very low on the water table and is prone to flooding they are building some breakwaters as you enter Venice. The captain referred to them as roadworks. 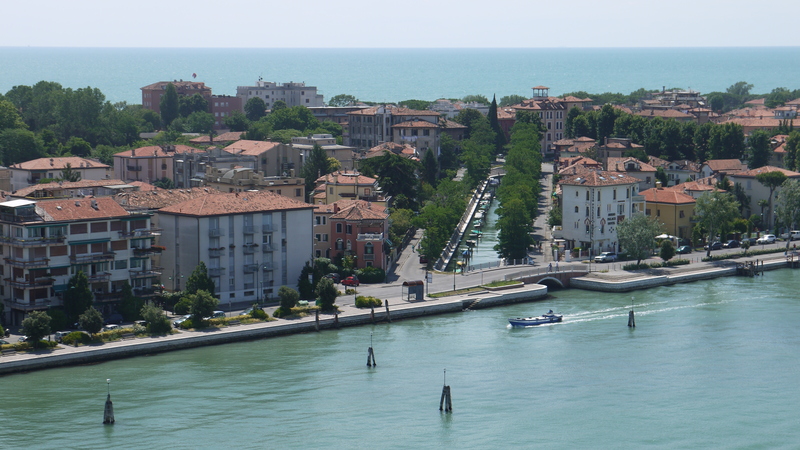 Once we passed the “roadworks” in the Venetian Lagoon the boat entered the Grand Canal. 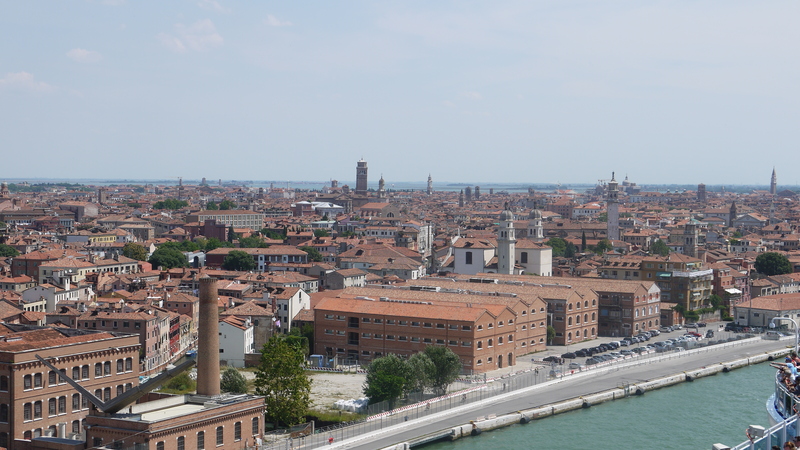 It is quite a spectacular experience standing on top of the cruise ship entering Venice. The boat passes Piazza San Marco before making it’s final approach to berth at Bacino di Marittima. 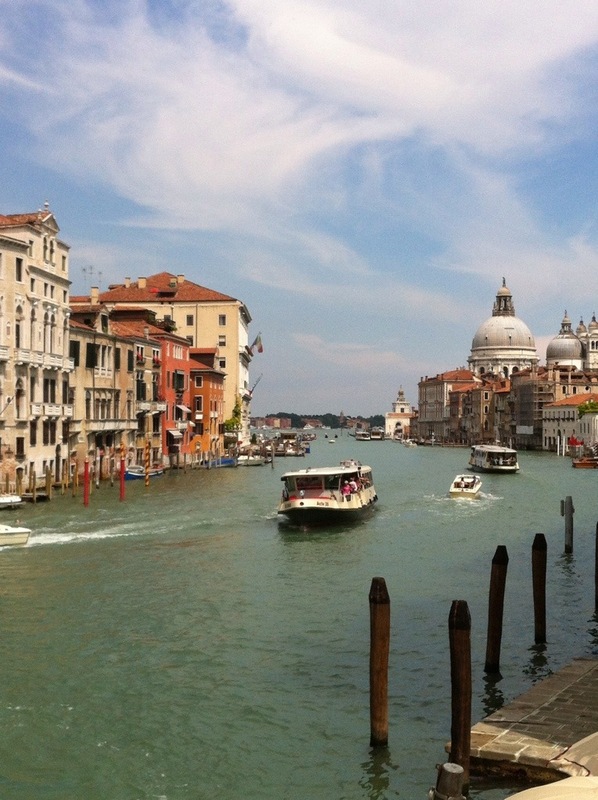 The canals are amazing and are like a highway on water – there are boats going in all directions. They are quite shallow so the cruise ships are required to have two tug boats to guide them in. The captain likened the tug boats to seat belts – they are there in case of an emergency. We had one more night on the boat while it was berthed in Venice. We hopped off and checked out where we had to go to get to our hotel today and then decided to make the most of our last afternoon on the boat. Another great day weather wise. Another “it’s a small world after all” experience – after we had watched the boat dock I heard Steve saying “Bridget” and I thought who is he talking to – given he’s not too flash at remembering people’s names and all. This lady turned around and said “Steve- is that you?”. Turns out Bridget is from Hawera and the mother of a couple of boys that Paul went to school with and also played rugby with. Her son, also named Paul had been to stay at our place in Auckland while on a school rugby trip. They had been on the boat for the past 10 days but with 3,800 people on board we hadn’t come across them before the last day. We got together with Bridget and her husband Peter and their friends Paul & Margy, also from Hawera for dinner. We had also met a couple from Christchurch, Steve and Louise earlier in the cruise so they joined us too so we had a table of 10 kiwis. It was a good night. We had to have our bags outside our door by 10pm that night so the luggage porters could sort it all out for us to disembark early today. The disembarkation process ran as smoothly as the embarkation process. We were put into groups depending on our arrangements and given meeting times and places. We then got off and were reunited with our luggage in the terminal. We caught the “People Mover”which is a Monorail that goes to Piazza Roma which is on the edge of the city – it costs EU1.30 each and takes about 5 minutes to get there. I think it has been set up so you don’t have to deal with the highway and roads that go into Piazza Roma which is the last place you can drive a car in Venice. We then navigated our way to the hotel – took a bit of a round about way but got there in the end. 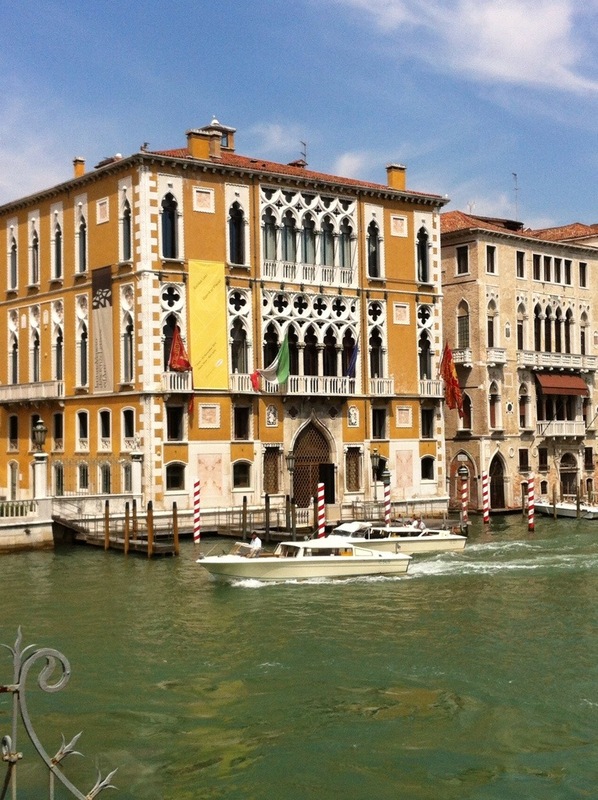 We are staying at Hotel Moresco which is ranked number one in Venice by Trip Advisor and you can see why. It is a lovely hotel and the staff are extremely obliging. Check in wasn’t until 2pm but we were in our rooms by 11am. It also has this lovely garden setting which is quite rare in Venice given the price of real estate and waterways. We decided to go exploring and headed towards St Mark’s Square – armed with our map we found that there were also signs pointing to San Marco so we found it reasonably easily. There were lots of people there given it is peak season. 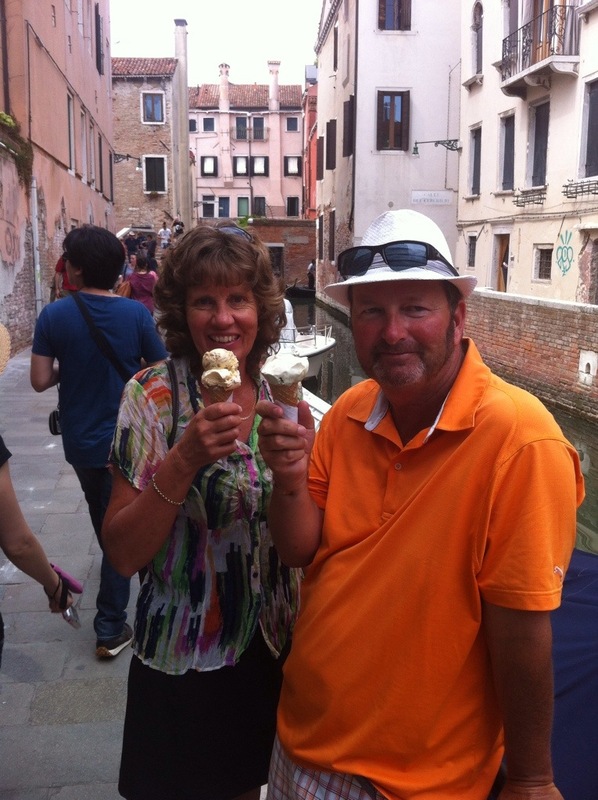 We headed to the Grand Canal and organised a gondola ride. 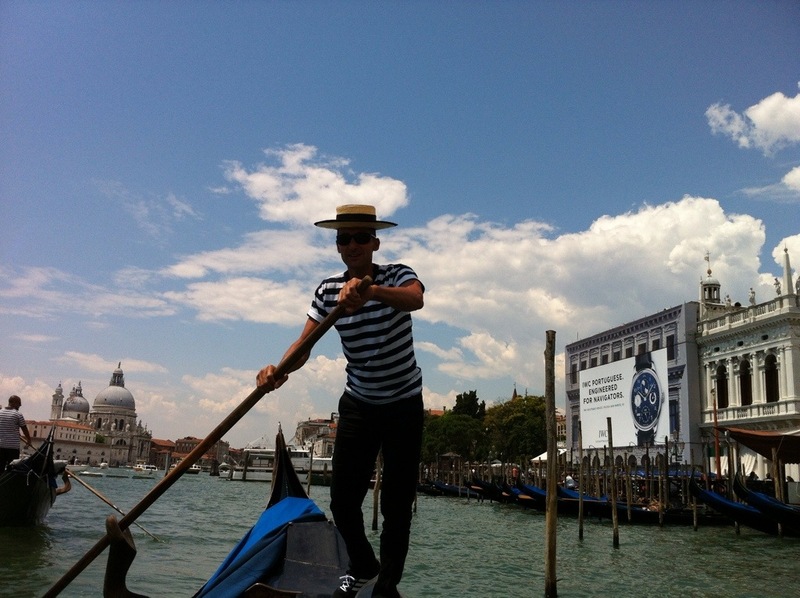 Our gondolier’s name was Igor and despite the name being Russian he was very Italian, having been born on one of the 117 islands that make up Venice. He spoke very good english and pointed out the key spots and gave us a bit of history about Venice. There are 430 gondolas in Venice and generally they are passed down from generation to generation. Igor was actually using his father’s boat today because his was getting some maintenance. He inherited his boat from his grandfather. His father is going to retire in the next couple of years so Igor’s brother will take over his boat. 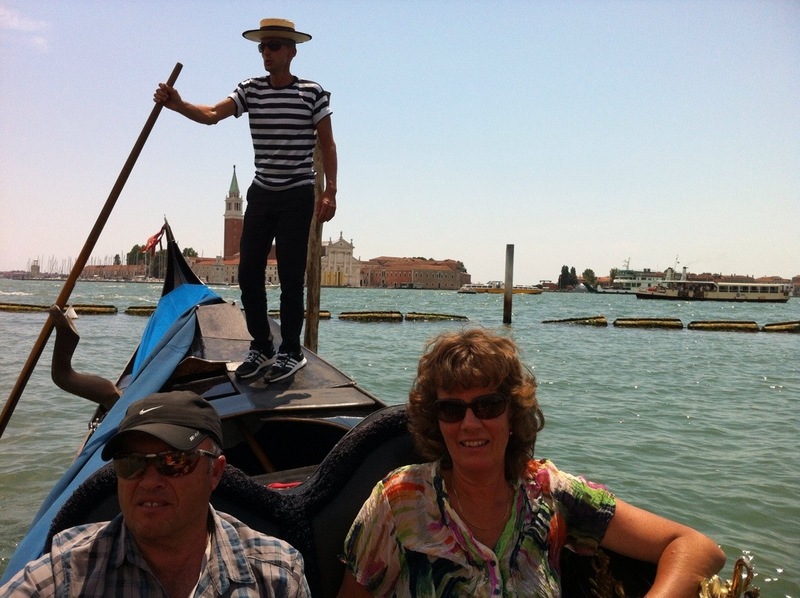 The professional gondoliers of Venice are members of an exclusive guild. A rigorous exam must be taken, which includes Venetian history, foreign language skills and practical oaring manoeuvres. Igor said it is hard for the young guys to get in if they don’t have a family connection as the number is set at 430. 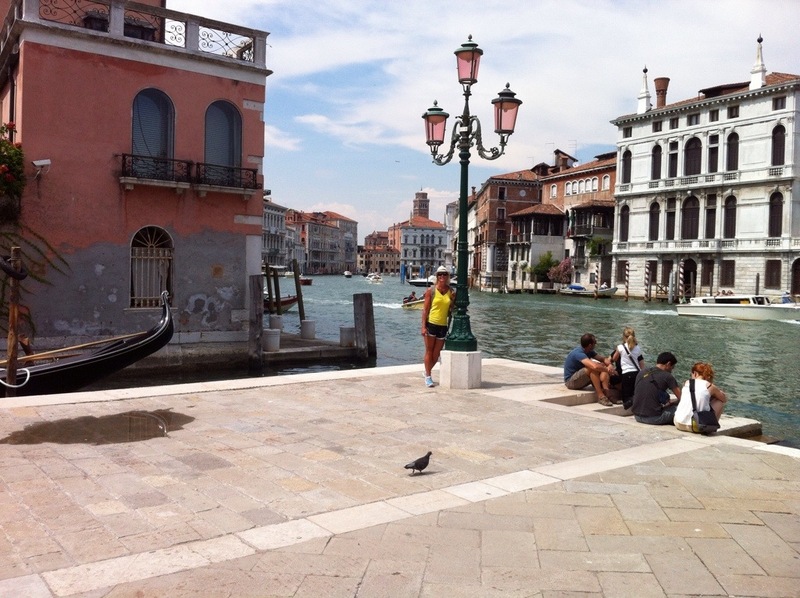 In August 2010, Giorgia Boscolo became Venice’s first female gondolier. Venice was described by the poet Lord Byron as a fairy city of the heart and you can see why with the romantic gondolas, intimate canals and centuries of history. The impressive power and legacy of Venice began in the 6th century when inhabitants from the mainland fled the invasions that followed the fall of the Roman Empire. Venice became a major maritime power during the Crusades and developed it’s own culture and economy based on its intimate relationship with the sea. In 726 A.D., the people of Venice elected their own Doge (Duke), who with his successors would lead the city for over 1,000 years. One of the key incidents that put Venice on the map occurred in 828 A.D. when the Venetians stole the remains of the Apostle Mark from Egypt and hid them within the city. The ownership of these relics brought both religious status and power to the city and St Mark was quickly proclaimed the city’s new patron saint. 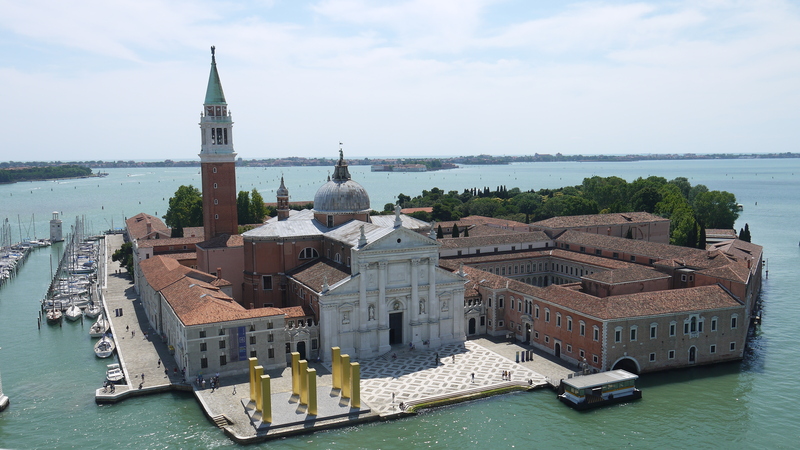 By 1094, a magnificent church was built to hold the remains and the Basilica di San Marco became the most important of Venice’s many churches and the city’s main draw. The Basilica overlooks the centrepiece of Venetian life, St Mark’s Square. Situated in the heart of Venice, this central meeting place is defined by stately arcades on three sides, the church to the east and the thousands of pigeons that call the square home. Adjacent to St Mark’s square is the Doge Palace. For centuries this impressive residence was also the seat of Government. The Ponte dei Sospri, or “Bridge of Sighs” passes over the Rio di Palazzo and connects Doge’s Palace prison to the inquisition rooms. 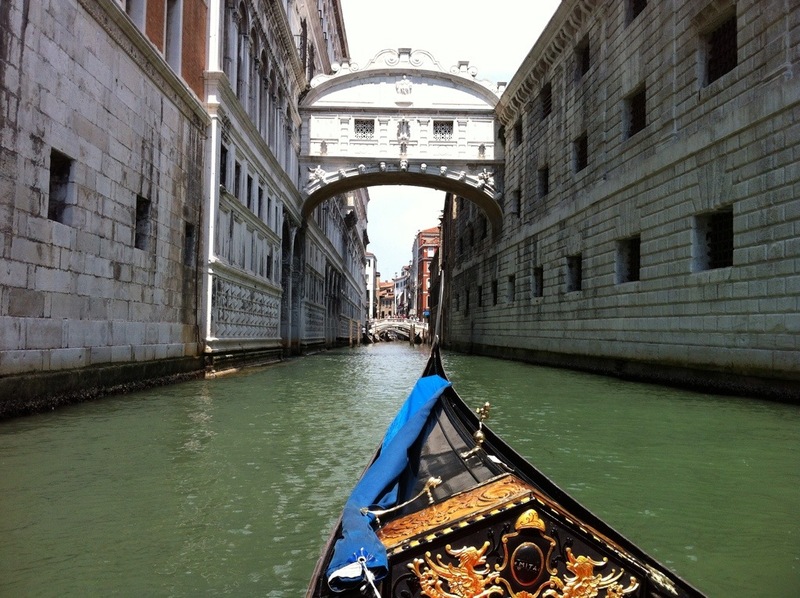 The bridge’s name was inspired by the sighs of condemned prisoners, although it also refers to the sighs exclaimed by lovers promised eternal love if they kiss under the bridge in a gondola at sunset. The buildings of Venice are constructed on closely spaced wooden piles. Most of these piles are still intact after centuries of submersion. The foundations rest on the piles, and buildings of brick or stone sit above these footings. The piles penetrate a softer layer of sand and mud until they reach a much harder layer of compressed clay. Submerged by water, in oxygen-poor conditions, wood does not decay as rapidly as on the surface. After being independent for more than 1,000 years Venice became Austrian territory when Napoleon signed the Treaty of Campo Formio on 12 October 1797. The Austrians took control of the city on 18 January 1798. It was taken from Austria by the Treaty of Pressburg in 1805 and became part of Napoleon’s Kingdom of Italy, but was returned to Austria following Napoleon’s defeat in 1814, when it became part of the Austrian-held Kingdom of Lombardy-Venetia. In 1848–1849, a revolt briefly reestablished the Venetian Republic under Daniele Manin. In 1866, following the Third Italian War of Independence, Venice, along with the rest of the Veneto, became part of the newly created Kingdom of Italy. The population in the wider Venice is about 270,000 – 60,000 live in the historic centre. In 1980, 120,000 lived in the historic centre but this has declined due to the older generation dying off and the younger generation finding opportunities elsewhere. 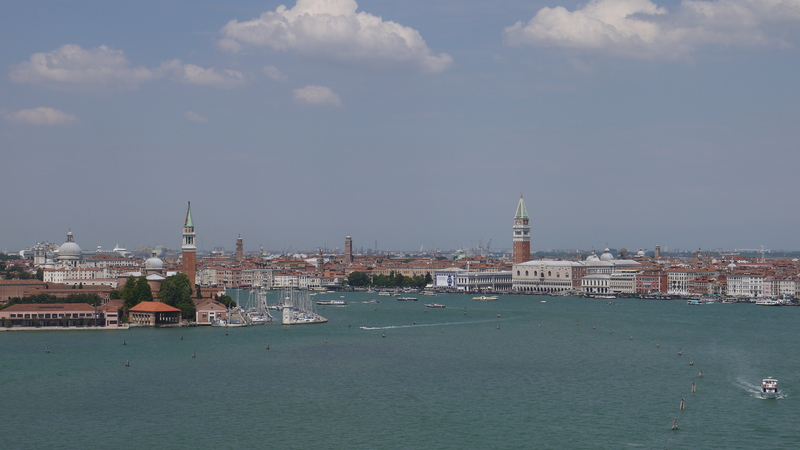 Venice’s economy is based mainly on tourism and shipbuilding which is done on the mainland. Murano glass produced on the island of Murano and lace production on the island of Burano are also important to the economy.